Android mobile phone repair experts have been using Boxes for repairing of android smart phones from past decade. The basic theme behind this scene, and as per expert's point of view and their best knowledge, the most trusted and safety way to repair android phone is to use a Box. Well, Boxes provide trustable results, but, somehow, they are expensive, as well as, the user needs some know how about using of these Boxes. In this page, I shall try my best to explore full knowledge about latest Samsung Professional Tool (S.P.T) Box. This magic box will help you to repair your android smart phone. By connecting this SPT Box with your PC, you could do alot of jobs in your android phone. It is suggested in kind honor of our visitors, to take a backup your data, before flashing of your mobile or updating of firmware or rooting of your phone. For your easiness, there is an option for creating a backup as well. Just click the backup button and take a backup of your precious data for future reference and restoration after successful completion of flashing or firmware updating or rooting of your mobile phone. Why we are insisting on taking a backup of your mobile data? This is because, that after successful flashing or updating or rooting, all your data saved on your mobile will be deleted completely and nothing will be come in your hand. After flashing, your mobile phone will restore in its default or factory settings and if the backup of the data is not taken, then it will be very difficult for you to recover your data after re-booting your phone. Remember that the stuff saved in your phone's storage would be deleted while flashing your mobile and the stuff, saved in your SD card would not be deleted. Therefore, always take your backup file in your SD card. You can restore your data after successful flashing of your mobile. It will not be wrong to say that SPT Box is a magic Box. It is just like a one stop shop, means, it can be used at anytime to repair your mobile phone. Generally, most mobile shop owners who do the repairing job also use this kind of powerful tool to repair mobile phones. 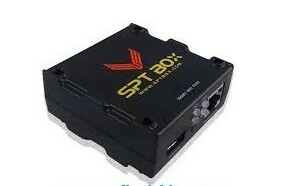 It may be impossible to explore all the amazing features of SPT Box in this page. I just provide you the best rated and most used features. If by any reason, your phone is locked, and you have forgotten your pattern, and you are un-able to have any method to remove the pattern. Even, for removing this pattern, you have installed the new operating system but in spite of this effort, you could not remove the pattern. Just use this magic tool, your will be removed and amazingly, no data would be lost. Most mobile users prefer to buy used phones from market. In local market, they can buy expensive mobiles with latest features at reasonably low price in used condition. If you buy a used phone with Factory Reset Protection(FRP) enabled. If you do not know how to remove the pattern, then you have pay a handsome amount of money to expert for removing the pattern. By using this powerful SPT Box, you can remove FRP lock by sitting at your home. Another amazing feature of this unique tool is the flashing facility. If you wish to flash your mobile phone with latest firmware files; just connect the mobile with this Box, and your mobile brand and model name, it will provide you the smooth installation of updates. May be, if you are facing unknown problems; like, memory issue, downloading errors or camera not working errors. or you have damaged your firmware, Just connect your phone to this Box and install new and updated firmware, it will feel of having a new phone with latest features and functions. Hardware information, software information, operating system and version of the mobile can be found by using this magic Box. If you are not allowed to any other network other than specific networks, you can remove that lock and use any other mobile phone network. This amazing tool will provide you this facility. Therefor, you can have different features and benefits of SPT Box, and this is the reason that this tool has gotten a huge amount of its fans following and mobile users around the globe are using this SPT Box to fix their mobile phone issues. If you wish to get this unique tool keeping in mind, the brilliant features and functions listed above, just follow the link shared below and tap the download link button for downloading this SPT Box. Download and install it on your computer having Windows operating system. Remember that it will not work with other operating system, other than Windows. Right now, tap the download link shared below, download the latest SPT Box, and start to fix your phone's errors smoothly.